Across the continent of Westeros, the Great Houses play the game of thrones, both on the field of battle and in the darkened alleys and secret rooms of King’s Landing. They seek the Iron Throne, but the throne is an uneasy seat at best, and the one who would rule must be constantly wary of festering treachery or sedition. Soon, you’ll be able to join this deadly game with the battles and intrigues of A Game of Thrones: The Card Game Second Edition! Watch a video preview of A Game of Thrones: The Card Game above! 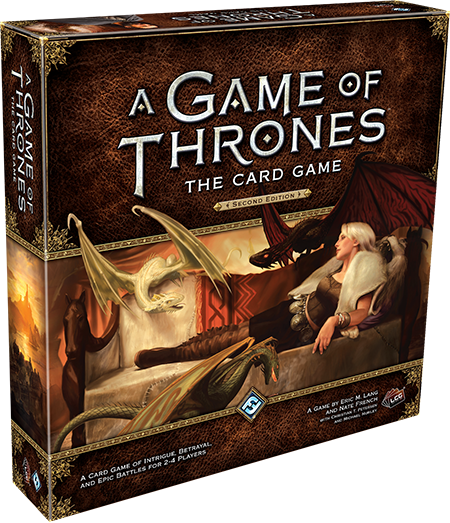 A Game of Thrones: The Card Game is a Living Card Game® of deadly encounters and cunning plots in Westeros for two to six players. We’ll explore gameplay and the eight unique factions in a series of in-depth previews, but today, we present an interview with Nate French, the lead designer of A Game of Thrones: The Card Game Second Edition. Here, he answers some questions about the second edition and gives you a taste of what’s to come in future previews! Why are you relaunching the game with a new edition? The short answer is that A Game of Thrones: The Card Game is a great game with a strong player community, and we want to keep the game around for the long haul. The first edition has been in print for more than a dozen years, and it was really starting to show its age. As we discussed the possibilities, it became more and more evident that a new edition was the best way to go for the continued longevity of the game. I wrote an open letter to the LCG player community in November that goes into much more detail as to why we are relaunching the game. I recommend it to anyone who would like more information on this topic. How did the playtesting process go? Playtesting was awesome – the last five months have been the most intense period of my career at FFG. I put out an open recruiting call for new playtest group leaders at the 2014 World Championships, and the responses I received showed an unprecedented level of interest in the game. I ended up working with more external playtest groups on this product than I had ever worked with before. Having this many playtesters allowed us to look at the game from a number of angles: I divided the testing teams into four focus groups. One group focused on the joust game, one group focused on melee, one group focused on the single Core Set, “out-of-the-box” experience, and one group played all modes, keeping the big picture in mind. Each of these four focus groups had a dozen or so playtest teams within it, so we got a lot of feedback that really helped the development of the game. Our playtesters put forth a monumental effort and they deserve all the thanks in the world. In your letter to the community, you put forth a number of objectives for the second edition. Would you say that you achieved what you set out to accomplish? Without a doubt we have, and then some. Looking back at my letter, it almost reads like a checklist presentation of the final product. It’s still the same fundamental game – the plot deck and the challenges phase (with the same military, intrigue, and power challenges) work as they always have. But numerous improvements have been made. The rules are cleaner and more precise. Attachments are extremely playable. The new rules on faction mixing and plot deck assembly have opened up dozens of new options for deck customization. The addition of a reserve value has added an interesting layer of hand management to the decisions that you make each turn. I could go on, but the short answer is that we had a strong vision for the game, and it was a vision that guided the testing process. Many of the playtesters who signed up at the World Championships did so because they were excited by the vision we put forth. Because of that, making sure we accomplished those goals was an important consideration during the game’s development. How have plot decks been affected by the new rules? 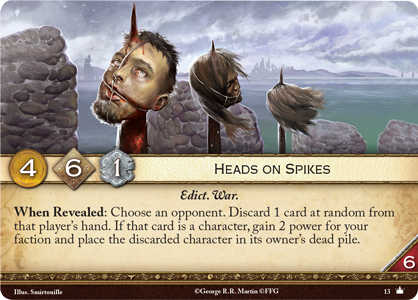 When the A Game of Thrones CCG first launched, players were allowed to run up to two copies of each plot card in a plot deck. This led to a situation where a lot of plot decks became really predictable, with three different plot cards duplicated and an additional single plot. So a new rule was introduced: players could only play a single copy of each plot in a plot deck. For a long time, I’ve felt that this change was an over-correction, and that a better compromise existed. In the second edition, a player is permitted to run two copies of a single plot in his or her plot deck, and only one copy of each other plot. This allows a player to specialize his or her plot deck around any single effect while still preserving a lot of variety. It also makes games more interesting, because even after a player reveals a plot card for the first time, you still need to consider that there may be a second copy of that plot card in his or her deck – at least until you find out which (if any) plot has been duplicated. What are you most excited about with the new edition? I love having eight factions to work with. They each have a unique personality that we’ll explore in the weeks ahead with the faction previews. 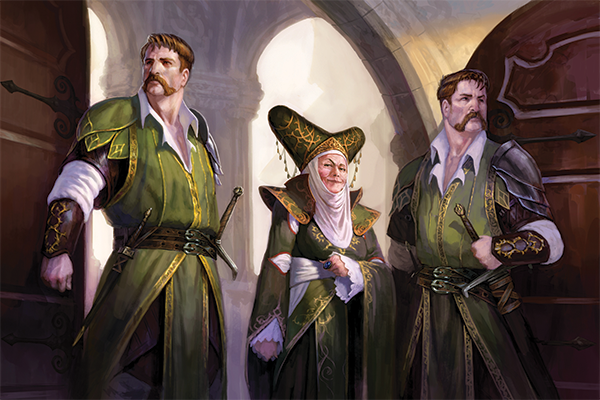 Deckbuilding is new and exciting – instead of a gold penalty, players can now run a primary faction and a banner agenda that lets them ally with a second faction. As a result, the number of potential deck options has exploded. We also revisited the melee titles and made some improvements to the melee game. The multiplayer titles have new effects, and there’s a lot more secrecy during the selection process – it really feels like you’re scheming in King’s Landing, trying to get inside your opponents’ heads when selecting a title. These changes are small adjustments, but they add a lot more tension and excitement to the melee game. Do you have a favorite faction? Right now, I think because of the novelty factor, the Night’s Watch and House Tyrell are my two favorite factions. I may eventually return to my Lannisters, but I can’t resist the flashy newcomers. Both of them have unique aspects that set them apart. The Night’s Watch are trying to defend The Wall, and playing them puts you in a completely different frame of mind from everyone else. 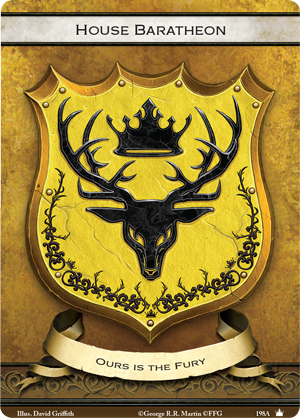 As for the Tyrells, their House words are “Growing Strong,” so what would you expect? Strength matters! But the Tyrells have a devious side, too… They’re just a really interesting faction to play with. A lot of people are going to compare this Core Set with the first edition Core Set. What makes this edition stand out? Well for starters, you get all eight factions, instead of just four. Because you can combine any two factions to form a pre-constructed starter deck, the variety of match-up options and the replayability right out of the box is beyond compare. And that’s all before any player-initiated deck customization! The second edition Core Set has streamlined and clarified the process of teaching the game. Our editors (Alex, Patrick, and Kevin) were a tremendous asset in whipping the Learn to Play and Rules Reference documents into shape. This Core Set is the best entry point to A Game of Thrones: The Card Game we’ve had in the entire history of the line. Finally, the cards themselves set this Core Set apart – it’s just a better cardpool. We worked hard to keep unnecessary complexity to a minimum, and also to focus on immersive foundational cards that can be a relevant part of the environment for years to come. I’m looking forward to expanding this cardpool and watching the game mature. The Iron Throne is yours for the taking, but it won’t be easy. 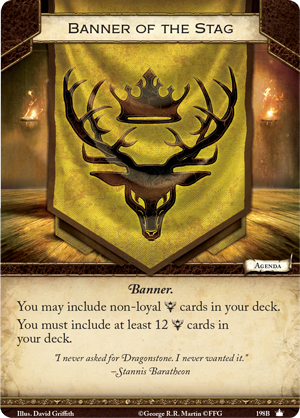 Call your banners and start plotting your victory with the second edition of A Game of Thrones: The Card Game! Be sure to check back next week for a preview of the new plot cards in the only game that matters.